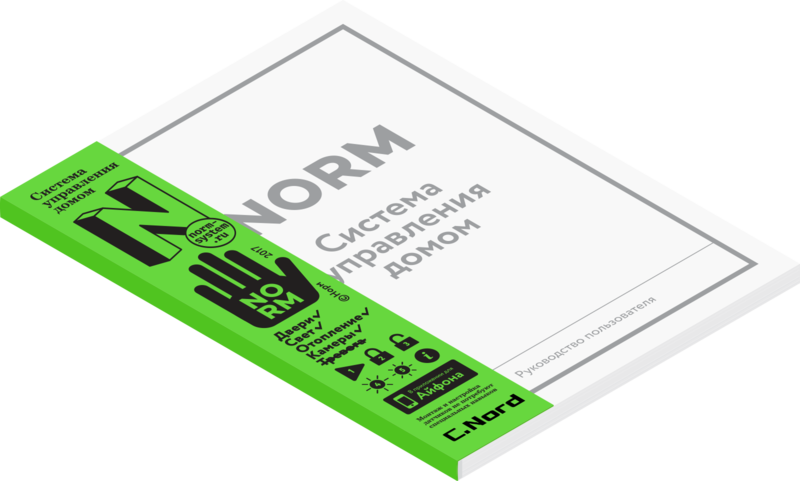 “Norm” is a module security system for your home and office. It consists of a sensor set and a mobile app. The sensors track doors position and windows integrity, they are activated when there is a water leak or a fire, react to movement, transmit video from cameras and send push notifications if needed. The main value of any security system is the sense of calm it gives. The main idea is to show that everything is fine. That’s exactly what the logo demonstrates. Unlike other security systems, we do not abuse the sense of anxiety, we show reasonable confidence instead. The corporate style consists of two connected visual parts. We use a white background, a minimalist type and text logo for interfaces and documents. For packaging and marketing purposes we have a pattern of black pictures and texts on a green background.